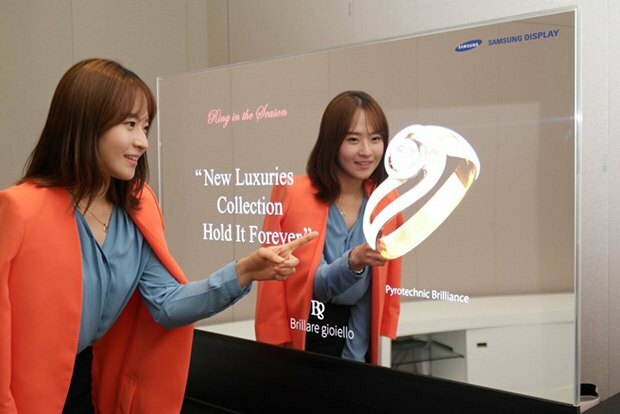 Samsung has revealed its new design for Mirror and Transparent OLED displays. The company unveiled and tested the design for the jewelry company Chow Sang Sang. The display is able to simulate how products will look and feel on potential customers. They feature a 50% higher reflectance rate than regular LCD panels, higher contrast, and a faster reaction time, making it possible to replace home mirrors with them in the future. They also feature more visibility from different angles and a 40% transparency rate.